I am so excited when a craft experiment turns out on the first try! I was just playing around with some new paint in my collection, and ended up with a beautiful Spring vase! 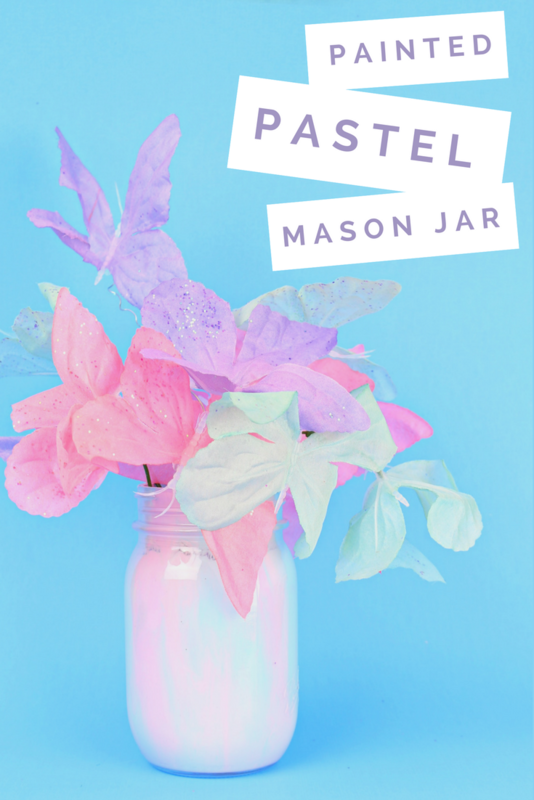 The pretty pastels blend in and out of one another inside of this marbled pastel Spring mason jar. 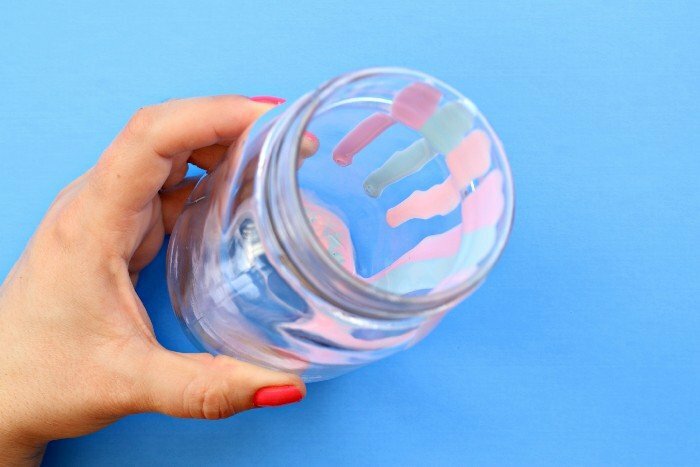 You only need a few supplies to recreate this simple tutorial at home. 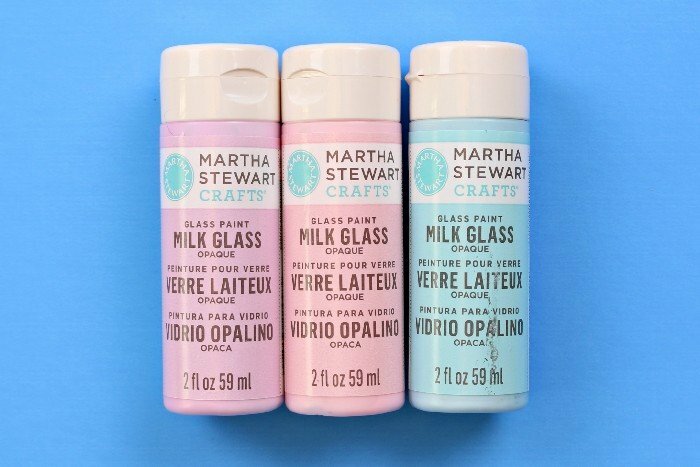 Plaid sent me these pretty Martha Stewart Crafts Milk Glass paints to try out. 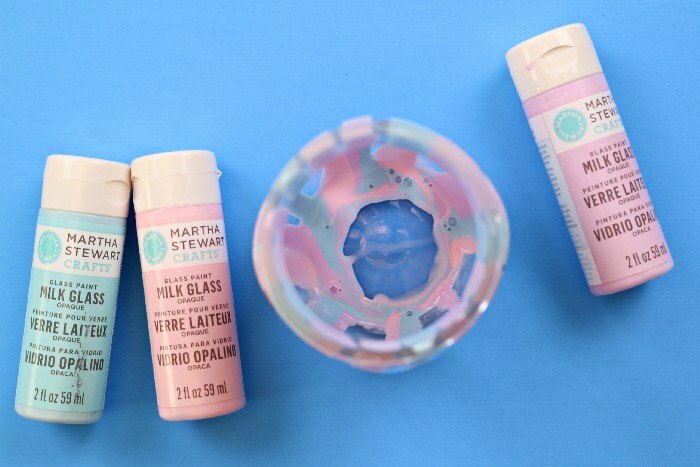 These paints are meant to give non-porous surfaces a realistic milk glass finish. This isn’t a sponsored post, but they did send the paint for free. Instead of brushing the paint onto the jars, I decided to use them to do a bit of marbling on the inside of the jar. The paint has a thin consistency, making it perfect for this kind of application. I squeezed small amounts of the three colors of paint into the inside of the jar and allowed it to slowly drip down. 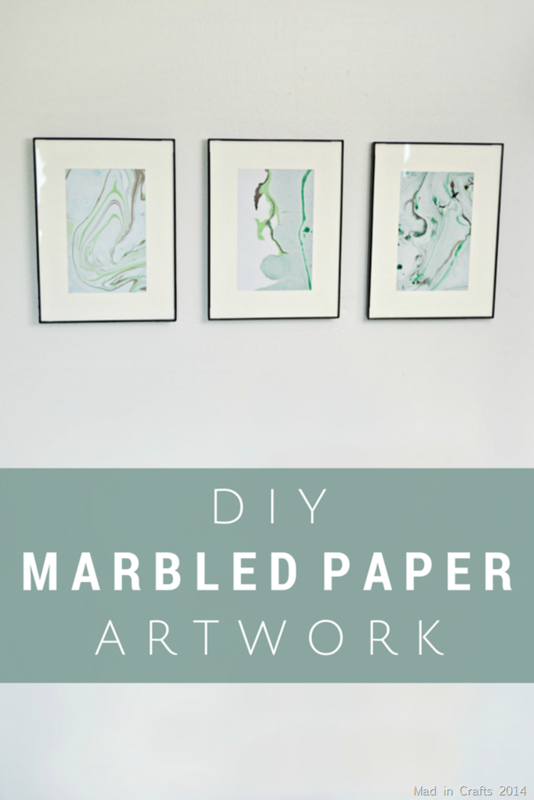 After the paint dripped to the bottom of the jar, I flipped it upside down and set it on some scrap paper. 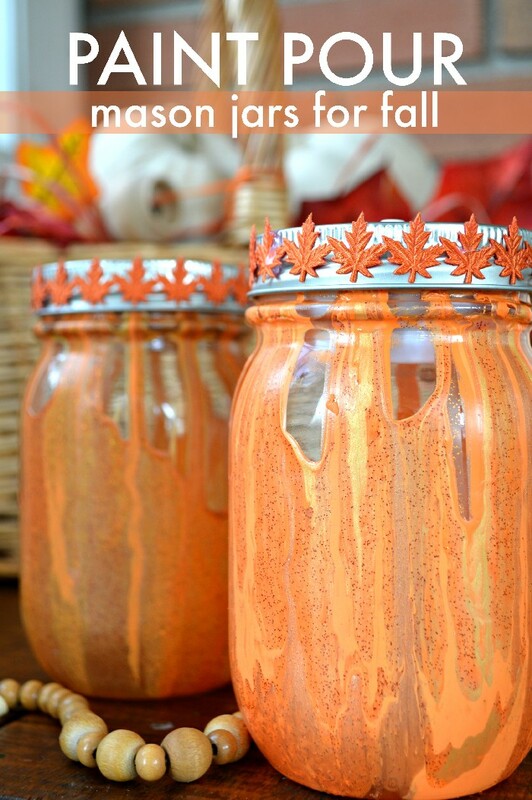 I let the paint drip back down the inside of the jar, giving the jar a little swirl to cover any bare spots. Let the paint fully dry. I just love the way the paints all blended together. The soft, pastel colors remind me of cotton candy! 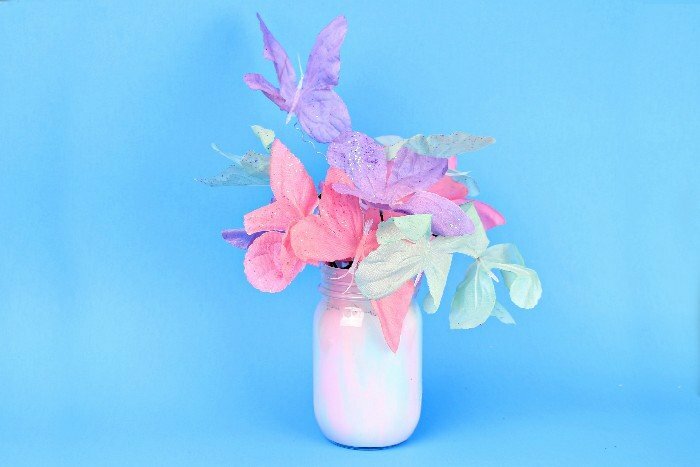 I chose to fill my jar with a bouquet of fabric butterflies in the same pastel colors. 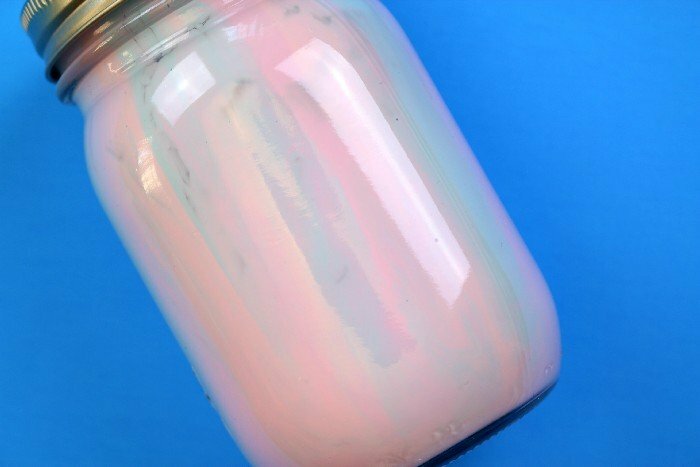 This pastel jar would also make a perfect base for a unicorn mason jar DIY. 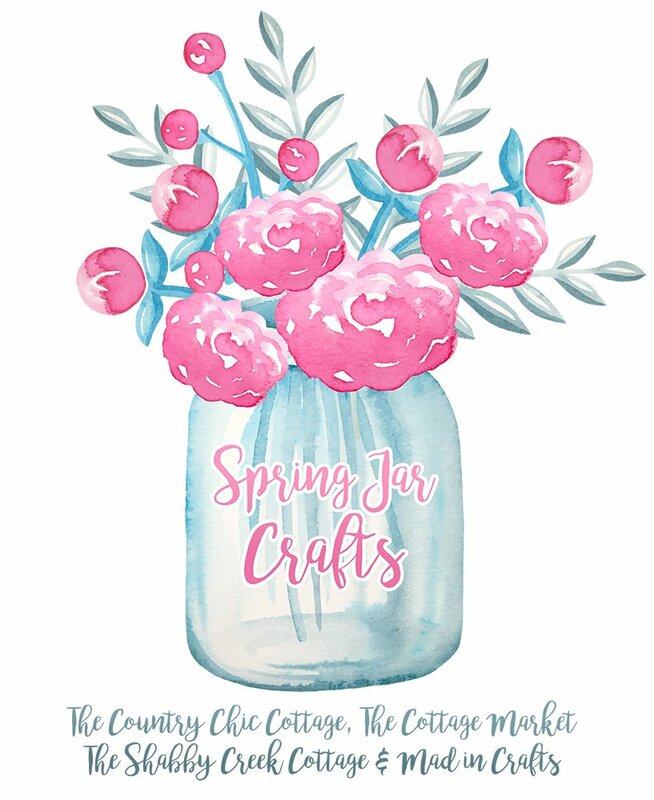 Don’t miss my Spring jar crafts from Day 1, Day 2 and Day 3!